THE nation is seeking a democratic transition through the ninth parliamentary elections. Such a transition will obviously largely depend on the candidates who are nominated, especially by the major parties, and their backgrounds. However, it is hard to be optimistic from the information we have about the candidates. As of December 26, there were 1555 candidates are contesting for 299 seats. Of these, the Awami League-led grand alliance has 318 candidates and the BNP-led four party alliance has 305. Among the grand alliance candidates, 270 are using the boat as symbols and 48 are using the plough. Of the four-party alliance candidates, 266 are using the sheaf of paddy and 39 are using the scales as their symbols. Thus, there are duplicate candidates in a number of seats. Interestingly, this year we have 373 fewer candidates for the 299 constituencies compared to the 2001 elections. 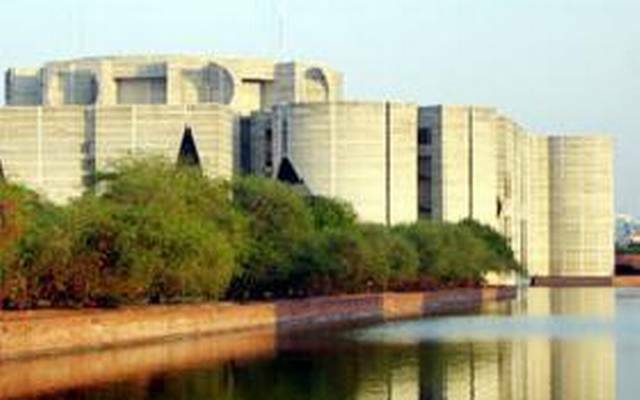 Of the 1555 candidates, 192 were members of the last Parliament, among whom 41 are running as Awami League candidates, 109 as BNP candidates, 10 as Jatiya Party candidates and 12 as Jamaat candidates. It is disappointing to note that only 58 women are contesting for 59 seats. Among these, former prime ministers Sheikh Hasina and Khaleda Zia, are running in three seats each and Begum Rowshan Ershad in two seats. There are also four seats — Sirajganj-2, Dhaka-7, Dhaka-9 and Rangamati — where two women are contesting. The proportion of women candidates of the two major parties is less than 5 percent. Even in this small number, there are some who were nominated as proxy candidates for their near ones who are accused or convicted of serious crimes and could not run. One important attribute of the contesting candidates is that the vast majority of them are educated. For example, of the Awami League and the BNP candidates about 80 percent have at least a Bachelor’s degree. Less than 2 percent have educational qualification of less than SSC. With respect to profession, the majority of the candidates declared themselves as businessmen. About half of the Awami League and 62 percent of the BNP candidates’ profession is business. In the last Parliament, about two-thirds of the members were businessmen, and this time also it is certain that the majority of the MPs will be businessmen, which will be contrary to the idea of a representative democracy because the Parliament should have representatives from all segments of the society. It is disconcerting to note that there are cases of corruption against at least 48 candidates and charge sheets have been filed against some of them. Of them, 27 belong to BNP, and 17 to Awami League. The information provided in the affidavits shows that in the past there were criminal cases against a fourth of the Awami League candidates and currently criminal cases are pending against 38 percent of them. Among the BNP candidates, 49 percent had criminal cases against them while 35 percent are at present facing criminal charges. At least 100 candidates are facing murder charges, among whom a fourth belong to the Awami League and a third to BNP. However, it must be emphasised that mere allegations, and even the filing of charge sheets, does not represent proof of crime. Cases are sometimes filed for political considerations. Those accused are also often found innocent or cases against them withdrawn, again under political influence. Because of political considerations legal proceedings are sometimes not instituted against real criminals. There are allegations that many candidates hid information about their criminal past in their affidavits, thus the number of alleged criminals is understated. Therefore, it is impossible to determine the extent of criminal elements, although the information contained in the affidavits provides an indication. With respect to criminal activities, there is some really outrageous information. There are at least two candidates who were sentenced to life imprisonment for murder and were freed under presidential clemency. Several convicted individuals were also allowed in the contest under Court directives. Former president Ershad is contesting in three seats after the lapse of five years following his incarceration for more than two years. There are at least 21 candidates against whom there are allegations of war crimes, and also a significant number of loan defaulters who are contesting under Court intervention. Many contestants have business relationship with the government, which makes them ineligible under the existing law. Many former MPs running for re-election are accused of misusing their privileges for importing tax-free cars and indulging in “car trade.” According to NBR, at least 439 candidates do not have TIN numbers and, thus, are not tax payers. It is clear from the forgoing that many controversial individuals are running for the upcoming parliamentary elections. There are convicted criminals as well as alleged criminals among them. If these individuals are elected, it is feared that a criminal empire may be established in the country rather than a democratic one. Unfortunately, the parties failed to show a sense of responsibility. They should have prevented the tainted individuals from contesting. Clearly, the parties have failed to provide moral leadership — it goes without saying that morality and leadership must go hand in hand. Most parties even failed to adhere to the legal provisions in nominating candidates based on the recommendations of their grassroots members. Even Awami League, which tried to follow the law, failed to fully respect the recommendations of their grassroots committees.